Games and toys for children are fun and recreational. But not only. 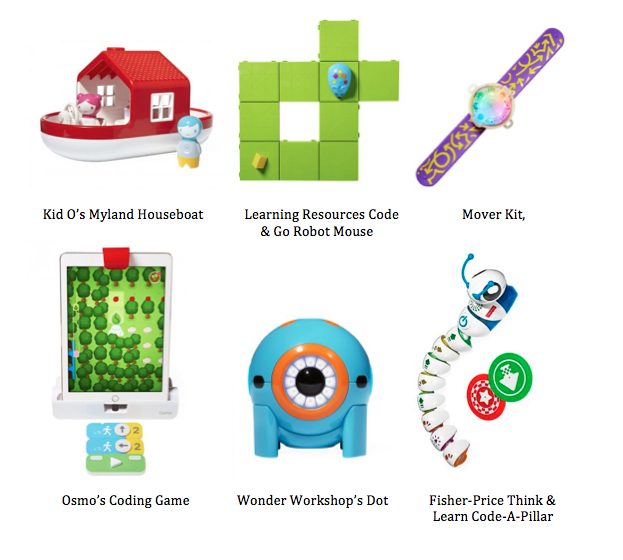 Recently, many different toys were developed to get children thinking like real programmers. Thanks to these toys, children can learn the basics of coding such as the cause-and-effect and problem solving. Some very simple ones are recommended for ages 2 and up, whereas some more sophisticated toys including technology and small robots, are dedicated to children from 6 years old. The prices vary from 45 dollars to 150 dollars.